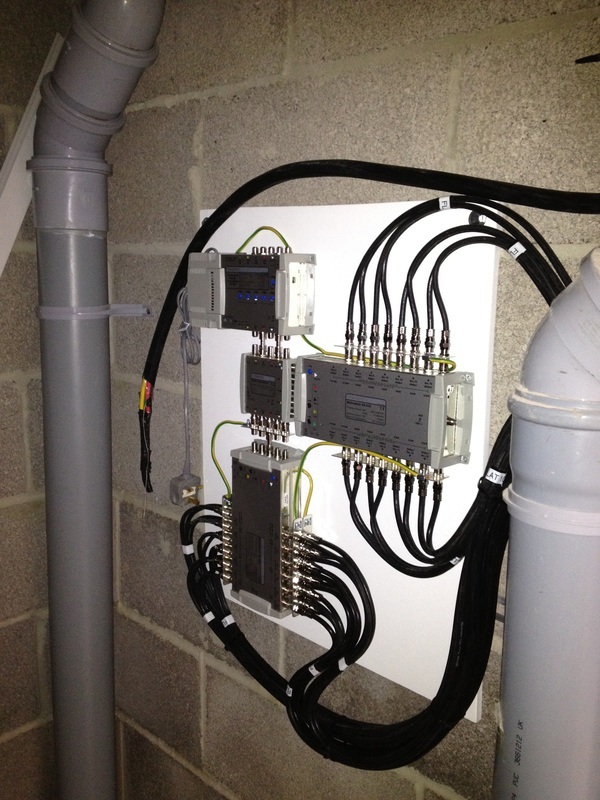 I am a specialist Communal Aerial and Satellite IRS System installer, with the ability to install communal aerial & satellite systems to multiple residents. I can undertake new build flat developments or retro fit systems in completed blocks. I can remove all your old aerials, satellites & cabling and replace with 1 communal dish and aerial. What is an IRS System? IRS Systems in the absolute basic terms, are a dish, or more than one dish, TV aerial and radio aerials for analogue and digital TV, combined and brought down one cable to the tenant. This then gives each individual tenant, through one cable, Satellite and Digital aerial, Analogue aerial signals. If your tenant requires reception also from more than one satellite via this communal system, which is common place now for local authorities and housing associations, this is possible quite simply with a change of electronics, extra dish and 4 more cables down from the roof, with the extra satellite dish pointing a different direction. For Sky Plus and Sky HD, you need 2 cables per flat or dwelling. This is now the most commonly installed IRS System for new developments and system upgrades. IRS Systems require the aerials and dishes on the roof. From there, 5 cables are run from the roof and into the best position centrally to be able to install amplifiers, equalisers and multi switches. If you also require satellite reception from another satellite, then 9 cables would be down from the roof, to this central position. From this central position, if the system is not to be Sky Plus or Sky HD compatible, then you run just one cable to each required position. If Sky Plus or Sky HD is required, then you will need 2 cables to each position. Call us now to discuss your IRS system upgrade or new installation.